In the summer of 2018 we went to London for four weeks. It was record warm and we walked and turfed a lot there. We also went to Reading for the first time. Between August 26 and 30 I went to London with my class and a colleague. In October and November my wife and I were in London once again. In March 2019 we went to London for a week and we had a lot of fun there. 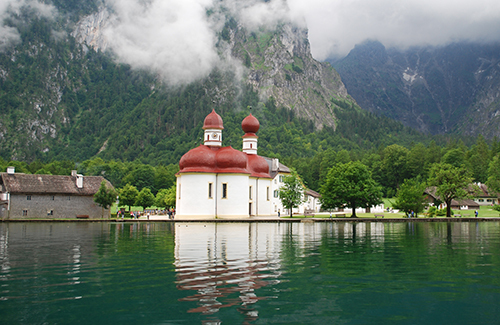 Upcoming journeys are Europe with our car in June and July (the picture above is St Bartholomew's Church in Berchtesgaden in Bavaria), London for a week in In October and November 2019, and London once again in February and March 2020. This site is mainly about my journeys around the world, but a piece of it is dedicated to Liljaskolan and my students, who can get hold of assignments and good examples written by older students whenever they want to. Also there is a part of the site for one of my biggest passions in life, Mercedes. Most welcome to my site!